Well it’s official, summer has finally come to an end! Wanted to share with anybody a project that started from a very raw beginning and turned into a great summer oasis. 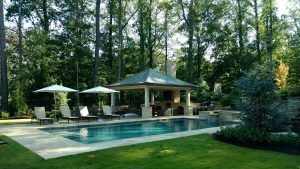 If you’re having trouble visualizing what you can do with your landscape, call Unique at 404-691-9310. 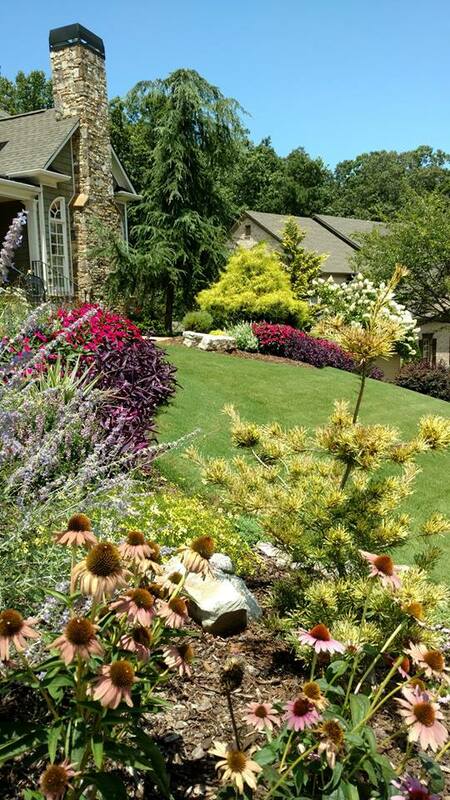 Let us bring your landscape to life. 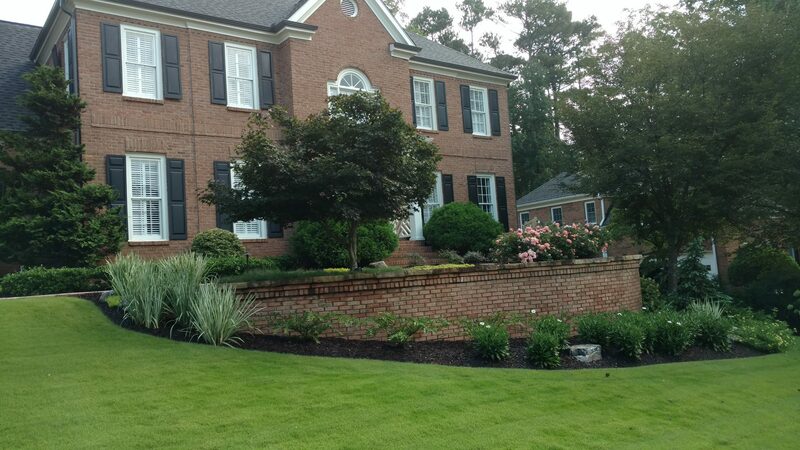 This landscape renovation project started in 2008 with a total hardscape renovation of the front landscape. After the hardscape project was completed Unique came back in and landscape to accent the architectural of the home and the new sidewalk area. 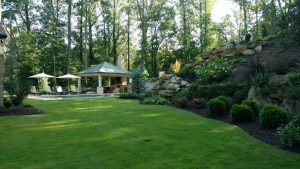 Over the years the landscape has matured and this spring we went back and did little bit of touchup of the original project to further extend the life of this landscape. 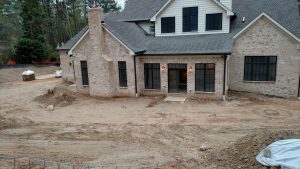 If you need a makeover or an update of your existing landscape call Unique (404-691-9310) and let our creative and experienced staff bring your landscape back to life. With all this rain we’ve had the last couple of days, it’s amazing how our landscapes can come back to life. 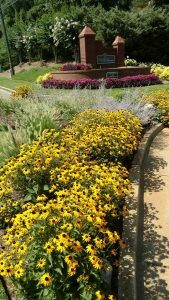 This colorful landscape installation is a combination of perennials, annuals, conifers and flowering shrubs. 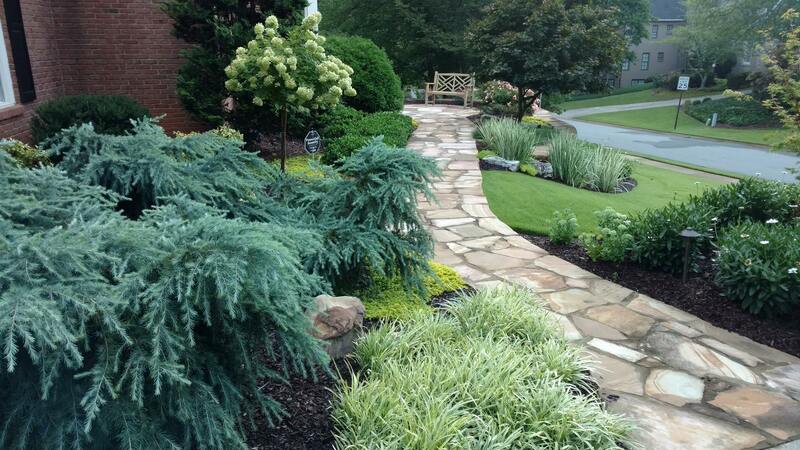 Balancing structure, color and texture are important ingredients when planning a year-round landscape. 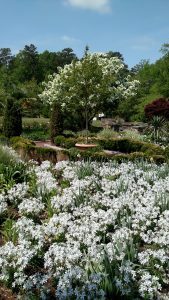 From a formal planting to a more eclectic relaxed landscape installation plant selection is important to bring you the year-round interest. Fall soon will be approaching and another ideal planting season will be upon us. 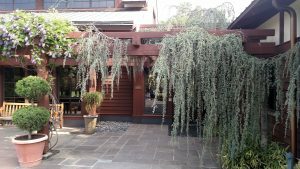 If you want to bring some color back into a tired landscape by renovating – or if you’re just starting from scratch, Unique Environmental can help. We bring the ideas and the creativity, along with the planning and execution for any sized project. So put us on your to-do list for this fall. 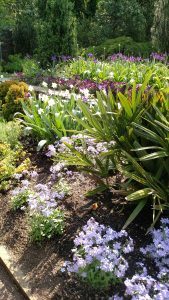 If you have full sun in your garden here are some great perennials and ornamental grass to brighten up the landscape and some. 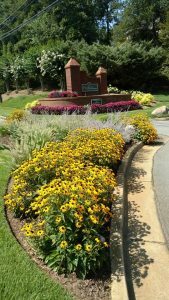 We incorporated these perennials in with the spring seasonal color for the entryway of this subdivision which added a further layer of summer color. 1.Black-eyed Susan (Rudbeckia f. Goldstum) this is the orange flowering perennial. 2. Russian Sage (Perovskia atriplicfolia) this is the bluish flowering perennial. 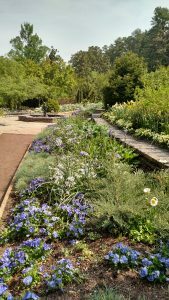 We also incorporated in some dwarf conifers and accent boulders to carry the perennial bed through the winter months giving it some interest. 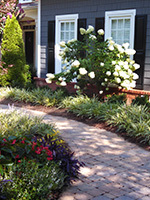 So if you want to add a pop to your landscape, think of adding perennials! The weather is heating up quickly here in the Atlanta, and it appears that we are going to be in for a very hot and dry summer. 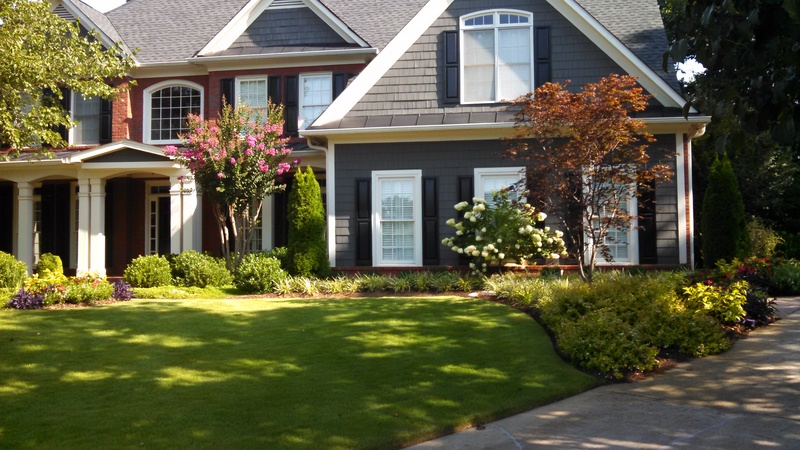 Alongside these important rules, Reeve’s list of valuable information includes a Georgia Drought Map, and detailed information on watering trees, shrubs, flowers and lawns during the summer season. 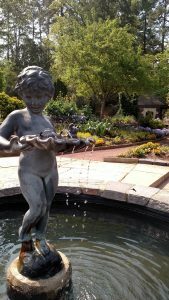 Contact us at (404) 691-9310 if you have specific watering or irrigation questions or concerns. 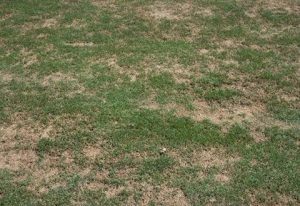 Is your Zoysia grass having a problem greening up this spring? Zoysia grass is a very durable and sustainable turf, but it has some downfalls, especially coming off our wet winter. 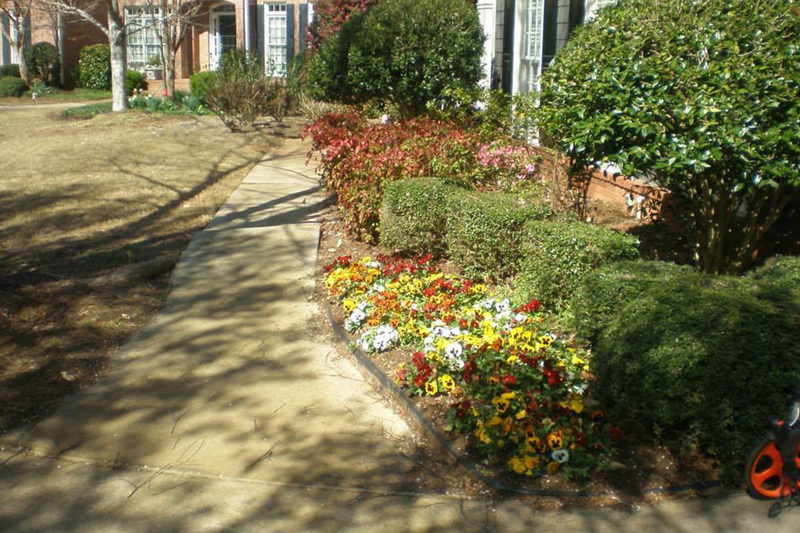 Some areas in your yard may not be greening up as normal and may appear dead. This is being caused by Zoysia Brown Patch. Zoysia Brown patch is the most damaging disease to Zoysia. Excessive moisture and high nitrogen fertility levels often lead to the outbreaks. 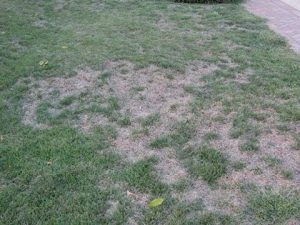 The disease usually develops on lawns during periods of wet, overcast weather in late spring or fall. Moisture plays an important role in disease development. Good drainage is needed to remove excess water from low-lying areas. Use a slow-release nitrogen fertilizer that will last up to six months in the soil. This reduces the active nitrogen available to the plant and slowly feeds it consistently as it’s greening up. Unique’s Turf Grass Division has been using this type of fertilizer in our lawn applications this spring to help prevent this problem. Cutting your grass on a regular basis is also helpful in reducing thatch build-up, which acts like a moisture sponge and can help spread the disease. We also recommend cleaning your mower deck off after every use to prevent any kind of fungus growing under it that could be spread throughout the yard. Once you see a problem it is very important to get on a fungicide program to prevent the spread. This fungal disease lies dormant in the soil and sometimes never activates if proper environmental procedures are followed. But if this occurs, preventative measures to eliminate the fungus are important and reducing water is critical. 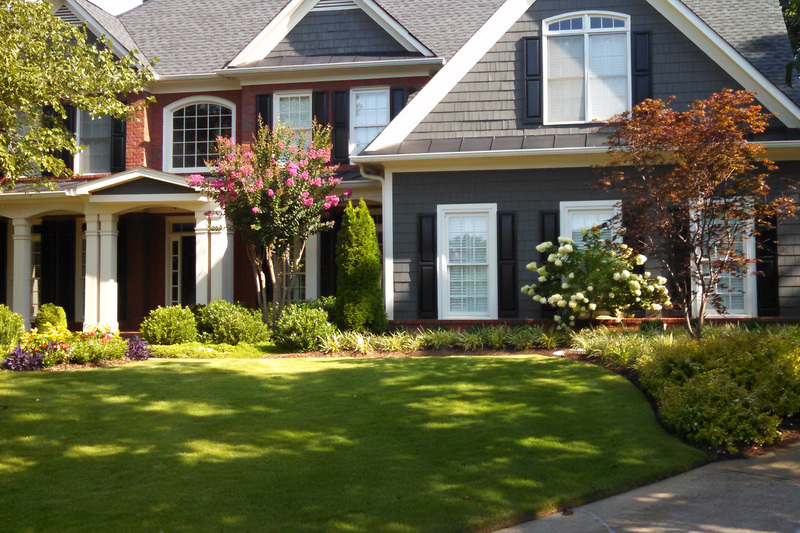 Most established Zoysia turf grass only needs to be watered three times a week and prefers to dry out between watering. So remember, more water and fertilizer does not help the problem. Ambrosia Beetles are a serious problem in the landscape. 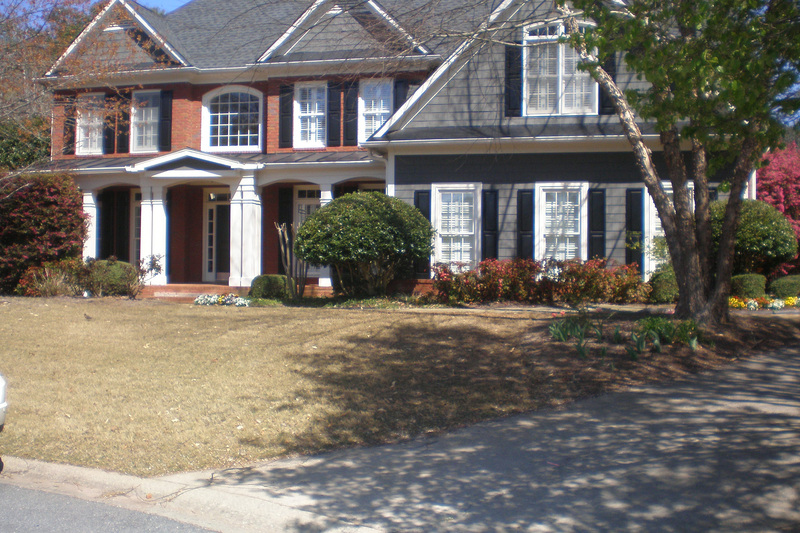 We have a menacing pest that has caused more damage over the last 10 years to the landscape trees than any other insect in the Atlanta area. This random and non selective pest preys on unsuspecting trees. 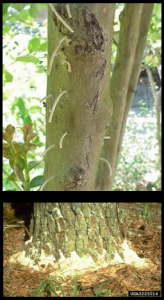 It lays it’s eggs on the bark and then the larvae bore into the tree. At this point, it is certain death of the tree. Home owners have a few products available to them that contain the active ingredient, permethrin or bifenthrin, that may be sprayed on the trunk, such as certain Spectrum, Ortho, and Bayer Advanced products. Examine the label for these active ingredients for some type of borer listed on the label. “Granulate Ambrosia” beetle will not specifically appear on the label. You are better off doing everything that you can to reduce the stress of the tree or shrub in hopes that the plant will outgrow the attacks. Organic products such as Pyrenone or PyGanic may be used, but are expensive and may not be available in small amounts. Their effectiveness has not been well studied. If your trees have been infested, you can also call some of the local tree services that have certified arborists on staff and offer spray programs for protecting your trees from this problem. 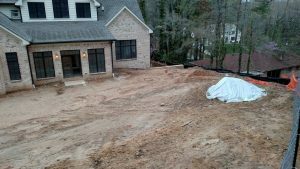 Please click the link below that will help you to diagnose and react to any of these problems in your landscape. Once the trees are infested, quick removal of the tree, then following up with treatment to other ornamental trees is important. 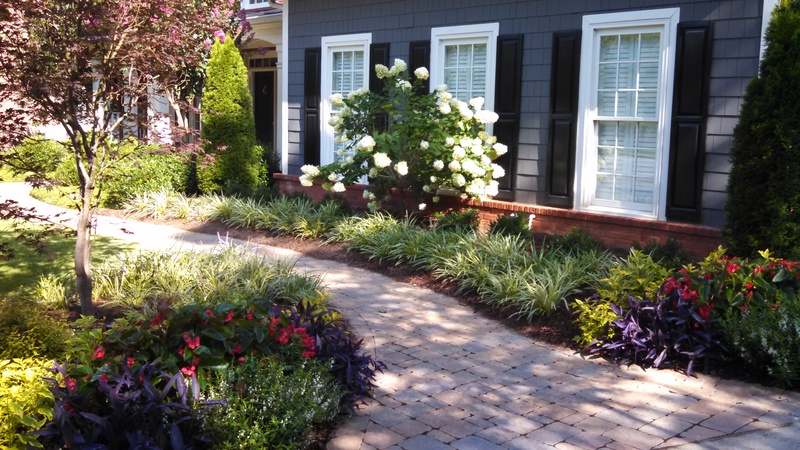 Is there a perfect plant for your landscape? Well there’s never perfect plant but at Unique Environmental, we think that the Distylium shrub is almost there. 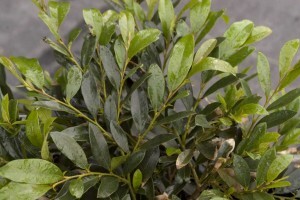 Distylium is an evergreen shrub that offers three varieties – Distylium Vintage Jade, which is the low-growing variety, Blue Cascade is mid-sized and Emerald Heights is the tallest. When you are planning your landscape, you need a canvas to get started, and Distylium serves as a fantastic canvas. Distylium is the type of shrub you would use when planning out a foundation planting and looking for consistency in your plant palette. For example, Vintage Jade is a great substitute for using hollies and junipers as it can grow in full sun and partial shade. Blue Cascade and Emerald Heights are a little taller variety which still works when you have a need for a taller foundation plant. What makes this plant almost perfect is its flexibility in sun or shade, and its drought tolerance. It also has a small flower in the spring that adds a unique look to the shrub. At Unique Environmental, we have been using this plant for almost two years in our landscape plantings, and we have monitored its growth and flexibility. We have great confidence that this will be a staple in foundation plantings in areas where you just can’t find the perfect plant. 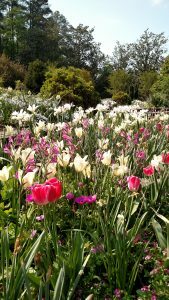 To get more information on the varieties, and also read some great articles about its performance in the landscape, check out the links below. 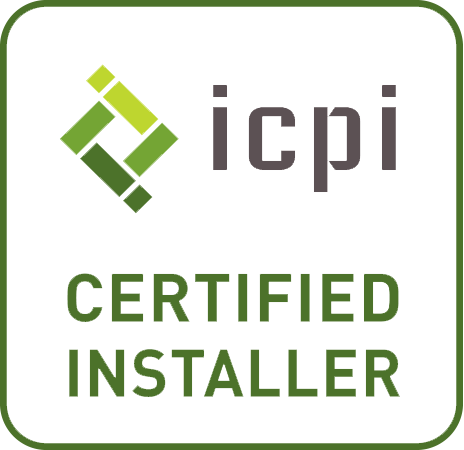 Many homeowners believe once they complete an installation project, they will never have to do any more planting again. 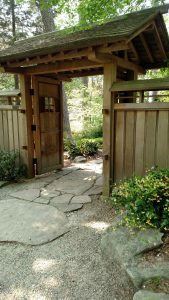 The truth is, even the best designed and installed landscape will need tweaking as it ages, and as the horticultural plant life cycle comes to an end. 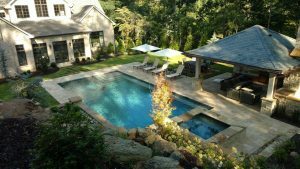 A well-designed landscape can typically grow and mature for about five to seven years before things need to be adjusted. This timeframe depends on the size of the material planted during the initial installation. 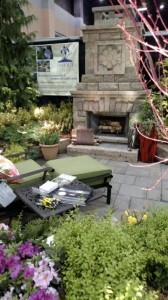 What can you do you extend the life of your landscape? 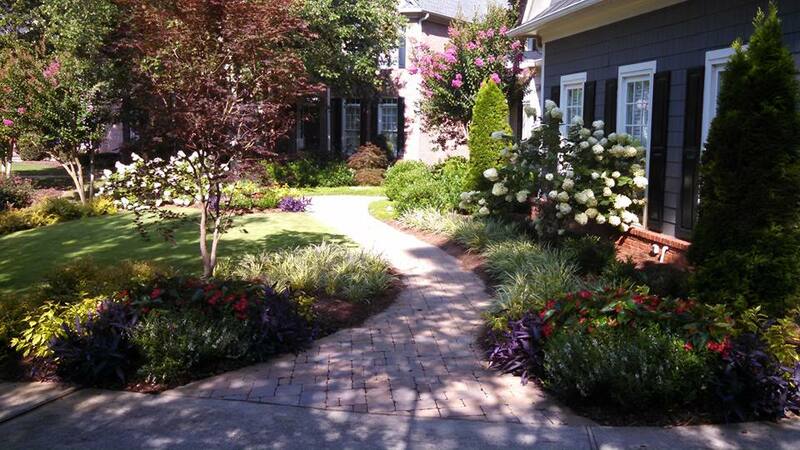 The first couple of years are critical to the long-term growth of the landscape. 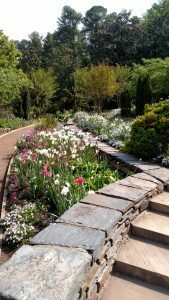 A landscape that has longevity requires three elements – proper hand pruning, fertilization and managed irrigation. Hand pruning is just that – use your snap-cut handsaws, loppers, and hand pruning tools to prune plants as they mature. In the first couple years, it may just be tipping the shoots of new growth to create balance in the plant canopy. As years progress more aggressive, technical pruning will be needed to manage the plants’ growth. 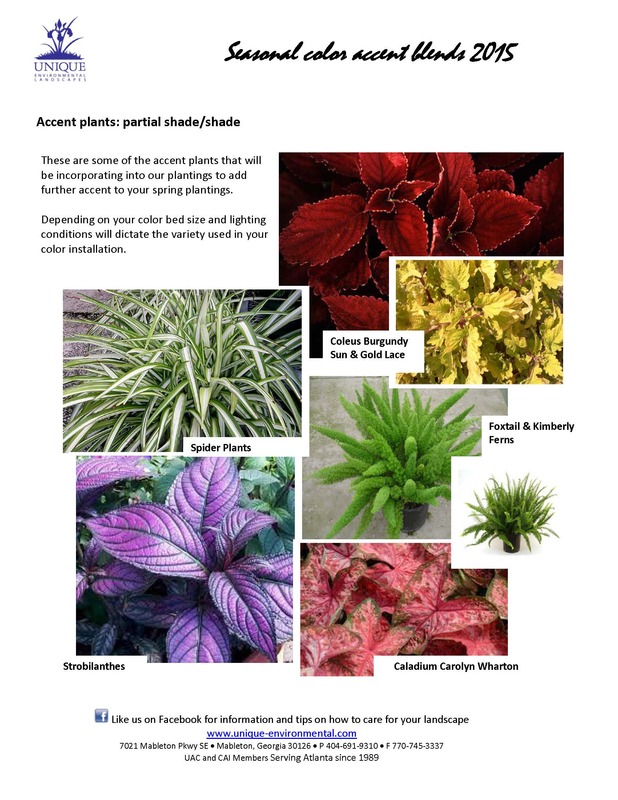 If you have specific questions about a particular plant in your landscape, send us a photo of the plant, and we can assist you in managing it. A balanced tree and shrub fertilizer spread throughout the entire planting area is important for establishing long-term plant health. 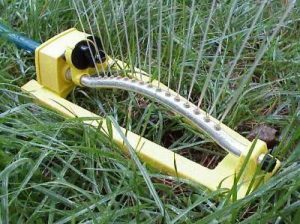 Soil tests are also very helpful, and should be conducted at least once every three years. Soil tests allow you to monitor your pH and check for the presence of the basic nutrients in your soil. In southern states, such as Georgia, iron deficiency is a problem for a variety of plants and shrubs, including azaleas. (If your leaves are yellow, the plant either needs iron or is getting way too much water.) A supplemental, trace element fertilization product can help with nutrient issues. The death of any good landscape is overwatering plants. On initial installation, watering frequently is critical, but as the landscape matures, plants need less moisture to maintain healthy root growth. 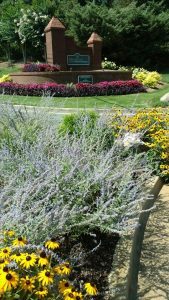 Selecting plants that are more drought tolerant and following proper planting techniques can help plants use less water over time. That said, there are some plants in the landscape that need additional water. 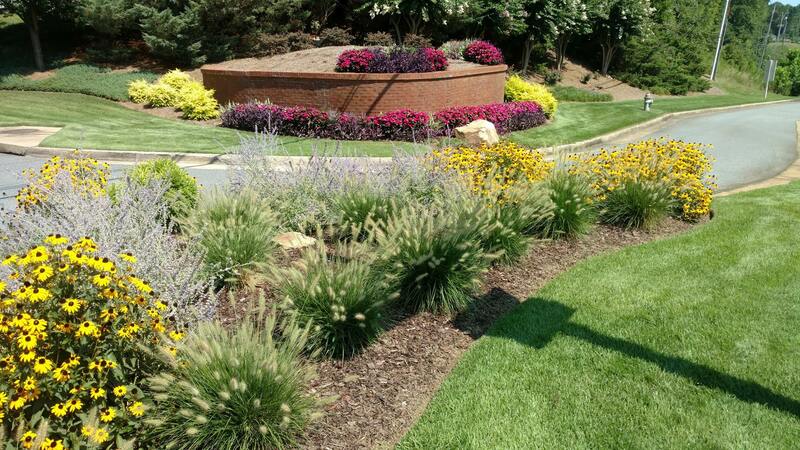 Having your irrigation system evaluated and adjusted to meet the needs of a maturing landscape is very important. 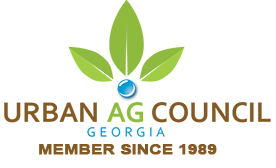 Conduct an irrigation audit of your system every three years to make sure you’re not overwatering or wasting water in your landscape. 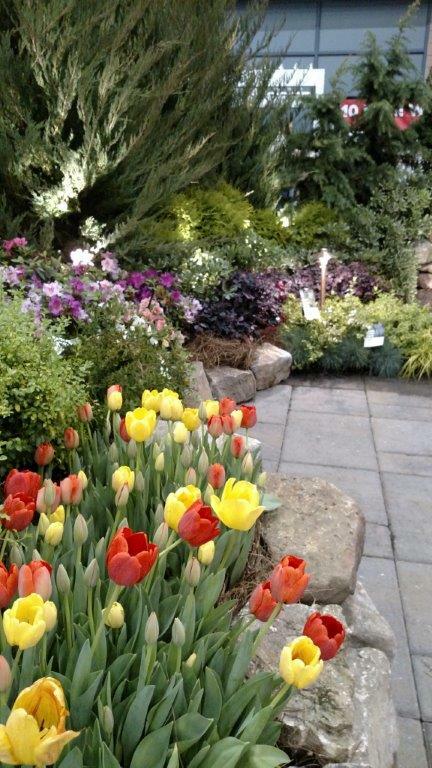 Once you’ve reached that seventh year, some plants may begin to tire out and some may have outgrown their space. The original small tree that was planted in the front yard is now a larger shading tree, and the bed line needs to be adjusted to compensate for the decline in sunlight on the turfgrass. This is common and is hard to avoid. 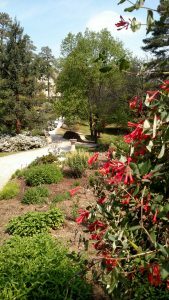 Planting a balanced landscape with a strategic plant selection can reduce the need for major plant renovation. Eventually, the time will come to refresh your landscape. 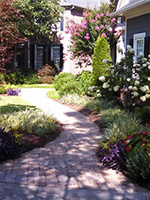 Like any renovation, changes to your landscape can be exciting and rejuvenating. 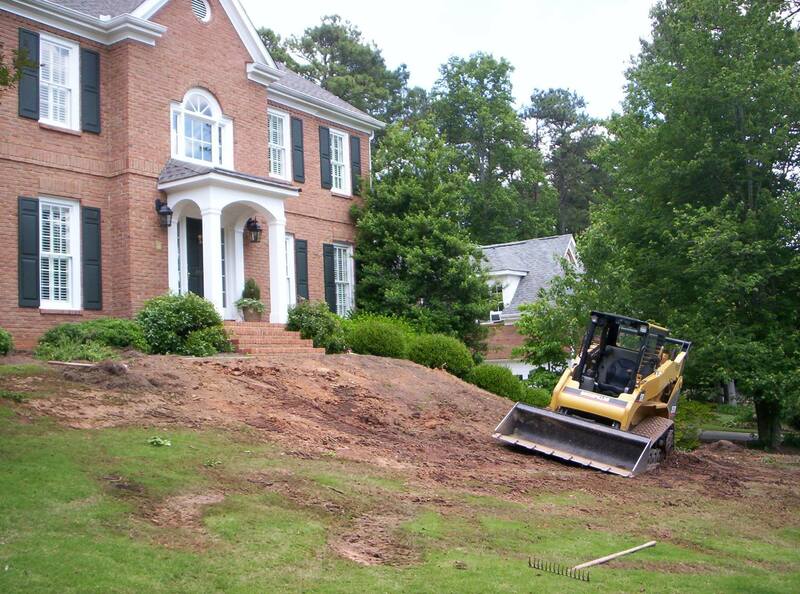 If you feel that your landscape is starting to outgrow itself, contact us at (678) 500-9867 for a consultation. Unique Environmental Landscapes took the top award for medium size booths at the Atlanta Home & Garden Show held at the Cobb Galleria March 20-22, 2015. Unique’s eye-catching garden was a popular spot all three days of the show, attracting the attention of landscape design/install seeking residential patrons. 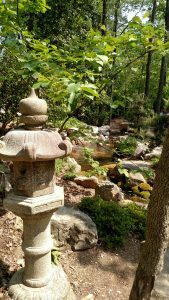 Highlights of the garden included a custom built natural waterfall pumping 4800 gallons of water per hour, a wood burning fireplace, Coral Bark Japanese Maple which was beautifully accented with uplights. 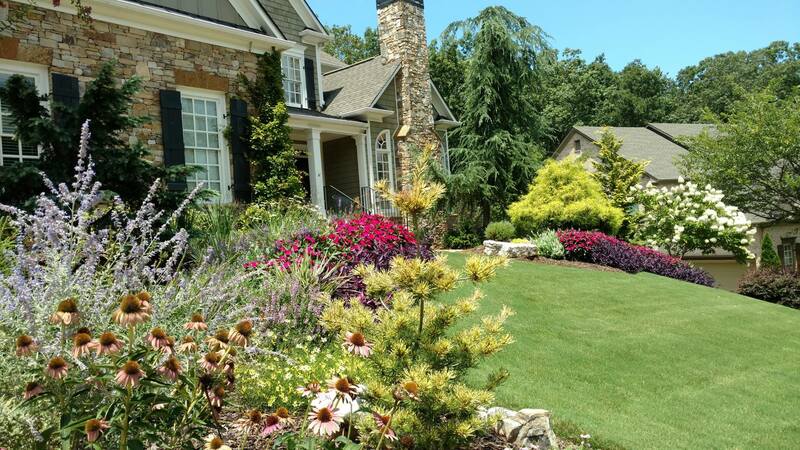 A good deal of the plant material in the garden was selected from the Southern Living Plant Collection, a favorite in Unique’s plant palette for the Atlanta landscapes. To finish off the garden, Unique placed beautiful (and comfortable) furniture from Casual Image on Belgrade’s Lafitte Rustic Slab paver patio so patrons could picture themselves enjoying this beautiful landscape garden. Relax in front of the fireplace in Unique Environmental’s garden at the Atlanta Home & Garden Show. 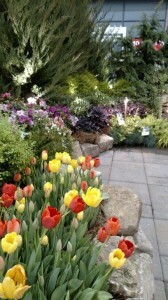 A variety of shrubs, trees, and flowers used in Unique Environmental’s garden. These plants will brighten up the shadiest part of your landscape and lend a pop of eye-catching color and beauty all season long. 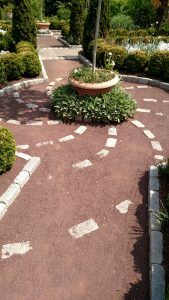 For the past several years, Unique has provided ongoing landscape maintenance for the Mansour Center…the staff is highly responsive. Additional follow-up is never needed; the issue is resolved promptly. I watched [your team] work very hard. In addition to their hard work, they were extremely capable and very pleasant. 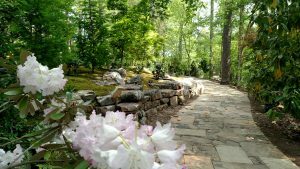 I would be very happy to recommend Unique to neighbors interested in landscape enhancements, as it was a pleasant experience for me. What a wonderful crew. Jim and I want to thank you and the entire team for our beautiful new front yard. We appreciate your patience as we agonized over the right tree and asked all kinds of questions to try and visualize the final results. The installation crew was courteous, hard working and talented, particularly the stone workers. Todd had the vision to see our outdoor space in a way that we could have never imagined. The space is so inviting. The process from design to implementation was completely uneventful. Please feel free to provide my contact information to anyone asking for a reference. Todd Guilmette and his team put in about 130 hours designing and executing a display garden for the Southeastern Flower Show, Jan. 30 to Feb. 3, at the Georgia World Congress Center. Their dedication paid off as they landed one of the show’s top awards for the second consecutive year.